Jenny Hjul says SNP hierarchy refuses to tolerate dissent from the party line. The deadlock over Brexit has exposed the deep divisions in the main parties, which reflect the deep divisions in the country. The only ideology, south of the border at least, is between Leave and Remain rather than Right or Left, although within both the Tories and Labour there are some broad parallels (Leave and the Right in the former, and Leave and the Left in the latter). Separate factions have separate figureheads, there are factions inside factions, and there are factions even in the government. People switch sides as the debate moves on, so sometimes a diehard Tory Leaver emerges in the same camp as a Labour Remainer, and so on. But destructive and disruptive as this state of affairs is, it proves democracy is alive and well in Britain, and that politicians are not cowed by their party leadership. It has long been known that a large chunk of Scottish Nationalists voted to leave Europe in 2016. Estimates are about half a million, or 36% of SNP supporters. However, the party, under Nicola Sturgeon, refuses to acknowledge this inconvenience because it confounds party policy over Brexit. 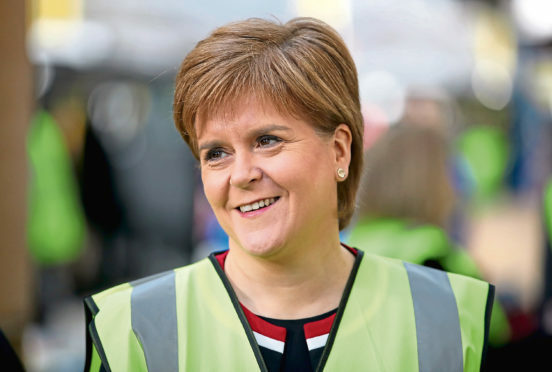 Sturgeon’s strategy since the day after the EU referendum, when the Scottish electorate voted by a large majority to stay in Europe, has been to exploit the different result here as a means of winning backing for independence. The more the Brexit process has unravelled, the greater the Nationalists’ glee as they have sought to bring Unionist Europhiles over to the secessionist camp. But two prominent Nationalists have had enough of the charade. 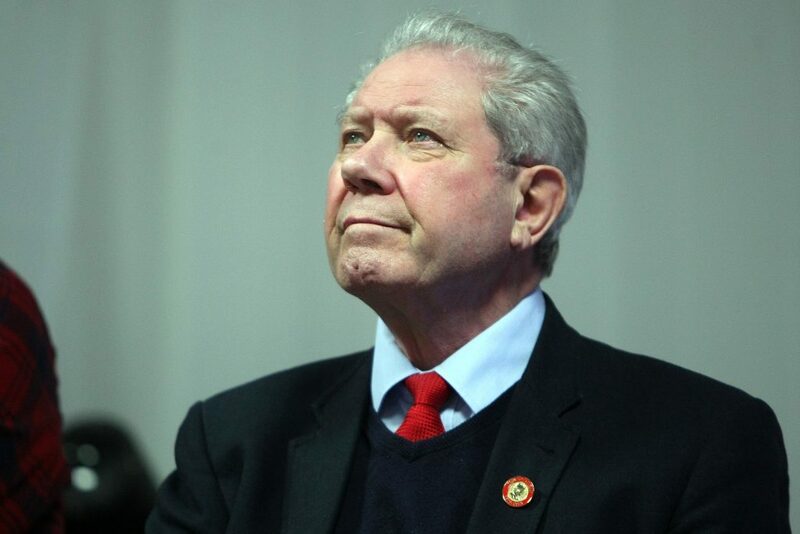 Alex Neil and Jim Sillars, respectively a former SNP cabinet minister and a former deputy leader of the party, said they were “among the many SNP Leave voters whose views have not been represented in the Commons debates”. They are the only senior Nationalists to admit voting for Brexit and this is not the first time they have raised their heads above the parapet. They have criticised Sturgeon previously for insisting on linking Brexit to a second referendum on independence. And they have claimed that many secret Leavers in the party, some of them MSPs, endorse their view that being a “submissive EU component”, as the UK is in Europe, is at odds with their notion of sovereignty. In a letter to the Daily Telegraph on Monday, the pair urged hard-line Tory Leavers in the European Research Group to back Theresa May’s deal, imperfect as it was, to avoid further chaos and the very real possibility of not exiting at all. “The only way to defeat them (Remainers) is to get the May deal over the line now,” they said. Of course, there may not be a third meaningful vote on May’s deal, thanks to the intervention by Speaker John Bercow on Monday afternoon to halt another ballot on what is basically the same motion. That is but the latest episode in this long-running drama, though, and does not alter the fact that an important wing of the SNP feels, as do a majority of the Scottish electorate, that it is unrepresented at Westminster by the 35 SNP MPs. As a block, this lot, led by Ian Blackford, have been loud but lacklustre. Despite the ongoing shambles of British politics, they have failed to move public opinion in Scotland an inch nearer to independence. And they have alienated those of their own party colleagues who fundamentally disagree with them on EU membership. Perhaps a more honest tactic would have been to accept that Brexit divides Nationalists just as it divides Unionists and to adopt a more consensual approach to Europe. But the collective ineptness of the SNP MPs is a symptom of the party’s problems, not the cause. This lies with the hierarchy and its refusal to tolerate dissent from the party line. For all their faults, the Tories and Labour have always accommodated wide ranges of opinion in the ranks. It might not have helped party discipline to have had a Tony Benn and a Tony Blair on the same benches, or a Jacob Rees-Mogg and an Amber Rudd, but it reflects our parliamentary freedom of speech. The SNP has maintained discipline, and power, by sticking to a script penned by the party high command. It is telling that there may be MSPs too scared to speak their minds on Brexit. But Neil and Sillars have done their fellow Nationalists a favour. The movement has lost momentum since 2016 and is undergoing much existential angst. Like any alliance, healthy argument is just what it needs.